The implementation of a food safety management system is a systematic approach to prevent unsafe food. There are several methods and tools, such as HACCP, which together with a management system (e.g. ISO 9001) form the bases for an overall food safety management system. 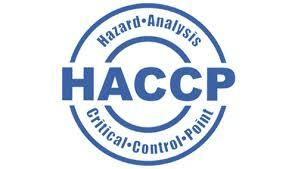 Hazard Analysis and Critical Control Points (HACCP).HACCP is a prevention-based food safety system. It is a systematic method for Analyzing a food process; determining the possible hazards; Designating- The critical control points necessary to prevent any unsafe food. To give the customers the confidence that the products have been produced hygienically and safe. To demonstrate the intention to take all reasonable precautions and exercise due diligence in the hygienic production of the products. Customers are also requiring certification or assessment when they import into countries with Food Safety legislation. To significantly decrease the number of customer audits and therefore safe costs and management time. A certification or an assessment can help in reducing costs by having a better relationship with the national food safety authorities. Certification or assessment of a Food Safety Management System will increase the effectiveness of the Management System regarding food safety. The majority of British retailers have stated that registration to BRC will become mandatory requirement to supply them. For more information regarding implementation and certification contact Pradipta Mishra .